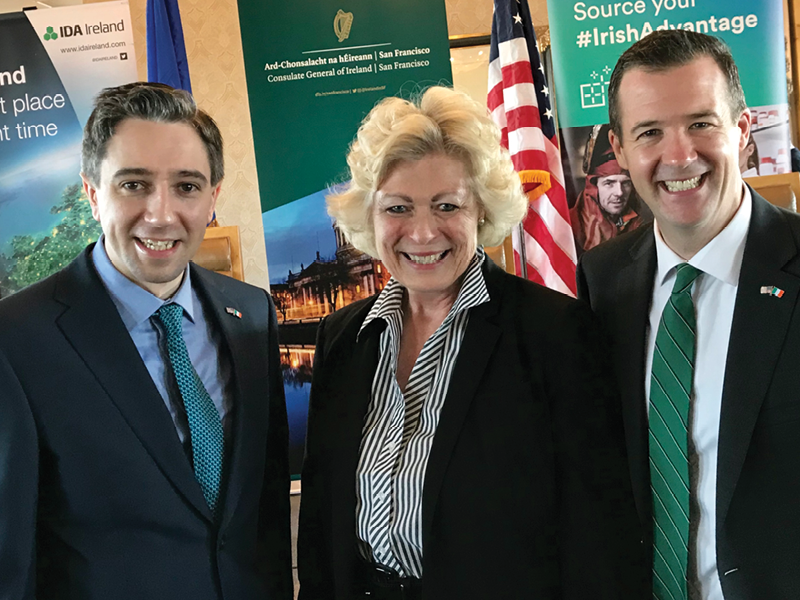 The strong trade and investment links between Ireland and the United States, as well as California, were celebrated last week at a California Chamber of Commerce breakfast held in conjunction with CalChamber Board events. 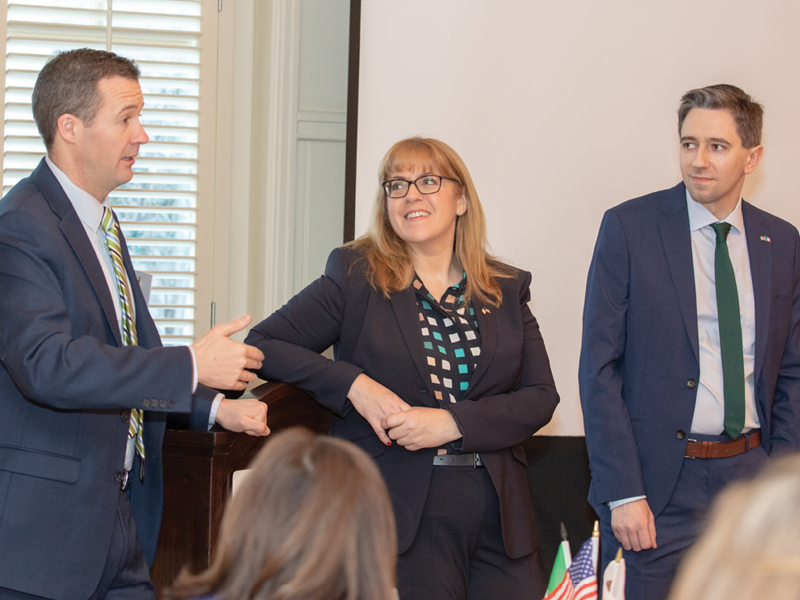 The CalChamber Council for International Trade meeting, sponsored by Frontier Communications, was one of several gatherings in the week leading up to St. Patrick’s Day featuring the release of the US-Ireland Business 2019 report by the American Chamber of Commerce (AmCham) Ireland. Speaking at the breakfast were the Honorable Simon Harris, Irish minister for health and former minister of state; Carin Bryans, vice president of AmCham Ireland and managing director of JP Morgan Ireland; and Robert O’Driscoll, consul general of Ireland to the Pacific Northwest. The three highlighted Ireland as a transatlantic hub and gateway to the European Union. Irish Minister for Health Simon Harris (left), CalChamber Vice President International Affairs Susanne T. Stirling and Consul General of Ireland to the Pacific Northwest Robert O’Driscoll at a March 14 San Francisco breakfast highlighting the annual report on U.S.-Irish business relations. At the CalChamber International Breakfast meeting on March 15 in Santa Monica are (from left) Robert O’Driscoll, consul general of Ireland to the Pacific Northwest; Carin Bryans, vice president, AmCham Ireland and managing director of JP Morgan Ireland; and The Honorable Simon Harris, Irish minister for health/former minister of state. 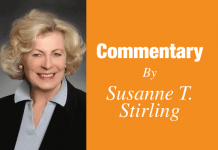 Bryans noted that the contributions of Irish immigrants to the U.S. economy have evolved from manual labor and domestic services in the 19th century to highly skilled occupations today. Highlighting California-Irish trade and investment relations, Bryans pointed out that about 140 Irish companies are established on the West Coast of the United States, primarily in California. In addition, more than 50 California-based companies have Irish founders. California is the top exporting state to Ireland. In 2017, California exported more than $1.5 billion to Ireland—14.4% of total U.S. exports to that country. The top products exported to Ireland in 2017 included chemicals, computers, special classification provisions, and manufactured commodities. 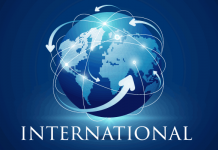 In Southern California, Ireland is the seventh largest country for foreign direct investment through foreign-owned enterprises. Those foreign-owned enterprises provide more than 20,000 jobs in Southern California through 180+ firms. Bryans commented that if the United Kingdom leaves the EU, Ireland will be the only remaining English-speaking nation in the EU, thus becoming critical as a U.S. gateway to Europe. Harris gave high points of the history of Irish contributions to California, dating to the late 19th century. The AmCham report shows that 800 Irish companies are active in the U.S. market, employing more than 100,000 people. In addition, 325,000 U.S. jobs are attributable to goods and services bound for Ireland from the United States and $116 billion in U.S. affiliate sales are generated by Ireland’s investment in the United States. More than 700 U.S. companies do business in Ireland—a $446 billion investment that employs 155,000 employees directly. U.S. companies in Ireland indirectly support 100,000 jobs. U.S investment in Ireland makes up 12.6% of U.S. investment in the EU. The report on the U.S.-Ireland business relationship, including a section focusing on the California-Ireland trade relationship, can be viewed online at the AmCham Ireland website, www.amcham.ie. 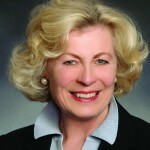 For more information, please visit www.calchamber.com/ireland.